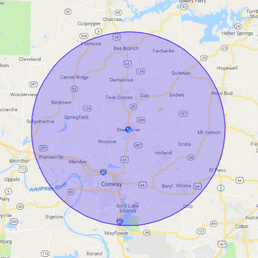 When owners of commercial properties need restoration services, they can rely on 911 Restoration of Central Arkansas to repair anything from water damage, sewage spills, mold infestations, and fire damage. The commercial restoration unit understands that it can be challenging to run a business, let alone deal with any property damage that may be affecting the building. This is where 911 Restoration of Central Arkansas steps in. As soon as you notice signs of a leak, flood, sewage overflow, or mold growth, you can call the Little Rock office, and someone will be there to take your call. They are available 24/7/365 to schedule appointments for free visual inspections for property owners. If you find yourself dealing with a water emergency, then professionals will arrive within 45 minutes of receiving your call to begin extracting water and making repairs. The highly trained technicians offer comprehensive services, making us the only company you will need to hire when you find yourself dealing with any property issues. You can trust in our IICRC certification that you are working with the most capable technicians, no matter what services you may need. So, call the licensed, bonded, and insured, commercial restoration agents when you need quick, efficient services, and we will do whatever it takes to give you the peace of mind you deserve during this chaotic time. If you own an establishment that is open to the public, such as a restaurant, retail store, or bar, you need to be very careful when dealing with water damage, because depending on the type, it could cause you to shut down your business until repairs have been made. There are three different of categories of water that range from one being the cleanest to three being the most contaminated. Category three water is also known as black water or sewage, and it is highly toxic. 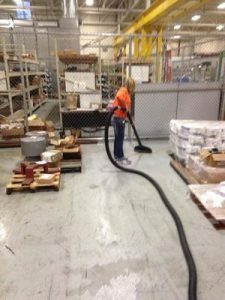 If sewage overflows into your property, then it is necessary to seek out commercial restoration services immediately to address the water damage. Customers won’t be permitted to go into your business when black water has spilled inside due to the contaminants, which is why it is so important to seek out immediate commercial restoration services. 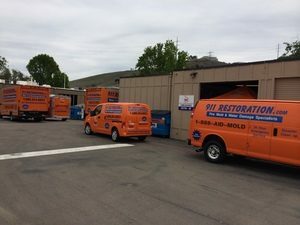 Along with cleaning up sewage, the commercial restoration unit will also repair any other instances of water damage, from pipe bursts, roof leaks, or flooding issues. 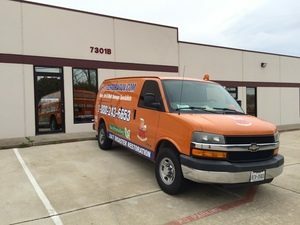 The water damage specialists have the goal of reopening your business as soon as possible after water has invaded your commercial property, so give us a call today. Where there is water damage, there is usually also mold, and the commercial restoration team is ready to remediate both issues as soon as they arrive on the scene. Many different species of mold tend to grow in commercial properties, and while some may be more damaging than others, all types of mold live off water, and basic materials usually found indoors. With 24-48 hours of being exposed to moisture or water damage, mold can begin to infest an area. 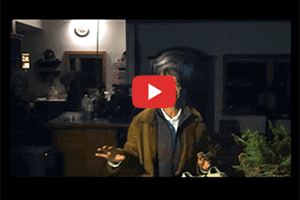 Mold and other fungi species eat wood, cardboard, paper, and other organic substances, which can cause the substance to impact the structural integrity of the property. The best way to limit the damage caused by a mold infestation is to clean up any mold spores present, repair water damage, and begin drying and dehumidification procedures. The drier the property is, the harder it will be to grow mold. This will keep your business open and income flowing. The commercial restoration team wants you to trust them to take care of these issues and give your business a fresh start, so give us a call today!